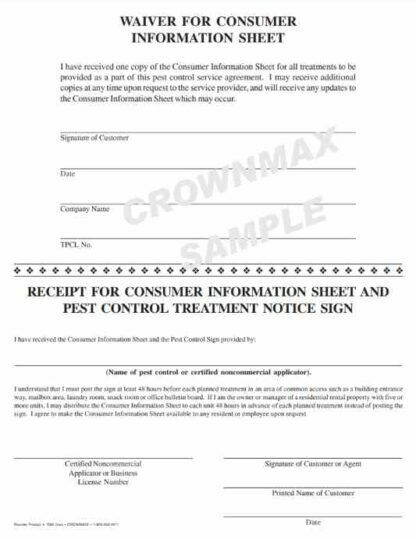 Printed on front of form – Single Dwelling & Receipt for Consumer Information Sheet, Multiple Dwelling & Receipt for Consumer Information Sheet & Pest Control Sign. 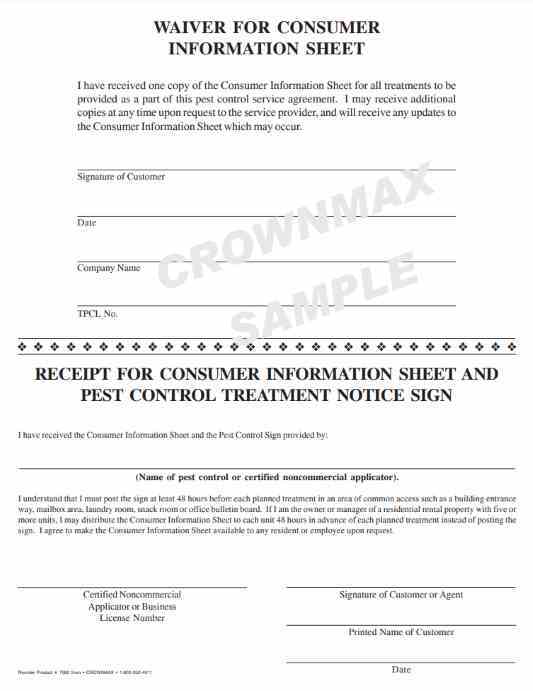 On back of form Consumer Information Sheet for easy access all in one easy to use form. 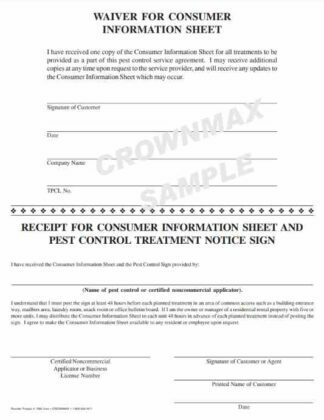 Printed in Black Ink on 2 part carbonless (white and canary) paper. Size 8 1/2 X 11. No imprinting available on this product.